We have entered 2019 and the transfer window is well and truly open, but will we see Liverpool make one last attempt to sign a top class player to boost their title challenge? 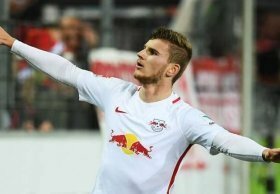 Goal Bundesliga reporter Ronan Murphy tweeted that RB Leipzig CEO Oliver Mintzlaff said: "A club like us can not afford Timo Werner to go into his final contract year." This is positive news for Liverpool with the die hard fans begging and pleading for a top class striker to be signed this month. Timo would definitely fit that bill with his sound form this season scoring 11 league goals and laying on 2 assists so far this campaign. The news that Timo is refusing to sign another deal with his current team Leipzig is positive news for the Reds and Liverpool could well take advantage of this. So far Liverpool have been extremely lucky not to be hit with injuries from their firing front three but there is fear among the fans that an injury involving these star players could scupper the chances of a first league title win since the 1989/90 season. Werner would give the opportunity to rotate if needed and he would also add competition for Salah and Firmino. At only 22 years of age he is still a hot prospect and by no means is he the finished article. He definitely fits the bill at Liverpool and the attraction to work with Klopp, who has a track record in developing young talents into world class players could prove pivotal in his decision.